While programming an iOS app, that I am presently working on, I got a fantastic idea to create this handy reference for the future whenever I start to program a new app. 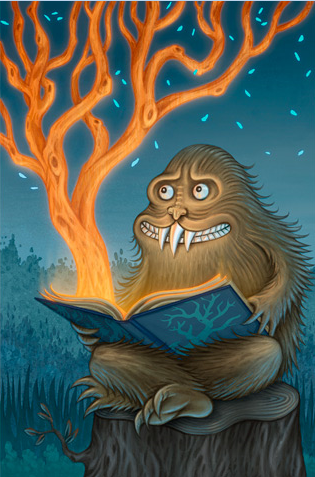 You can download the high-resolution PDF from my personal Web site here. Ever been stuck lacking internet on your laptop but still had your iPhone or iPad? It can be a huge drag; I just moved and made the critical mistake of assuming that there was internet already installed and I'd just need to call them up and have them flip it on. It shouldn't have been too much of a gamble as our town has near 100% coverage of FTTH (Fiber To The Home.) Nevertheless, I picked a house with no internet, and it will be a week or so until it can be installed. Quick warning: in NO WAY upgrade to RetinaPad 1.3! UPDATE: fixed! I've discussed & recommended RetinaPad in several of my articles, which makes it possible to run most native iPhone apps in high-resolution mode on all iPad models under all iOS versions - something that Apple should have done in the first place. Read more about Quick warning: in NO WAY upgrade to RetinaPad 1.3! UPDATE: fixed! UPDATE (06/04/2012): Part II has just been published; it's HERE. TUTORIAL: This is how you can record your Skype video calls at last! UPDATE (06/03/2012): I've posted a full article on optimizing Display Recorder on the iPad 3 HERE. The article can also be useful for owners of other models as it explains, among other things, how your videos can easily be rotated, how to achieve the best possible performance etc. Read more about TUTORIAL: This is how you can record your Skype video calls at last! Fake Apple Phishing Email Making the Rounds! Email openers beware! If you receive an email like this one, be sure to first check who the email is from, then be sure to hover your cursor over the link before you click it, and if it is NOT Apple then do NOT click it! According to Intego, the website that this takes you to looks a lot like Apple’s real site! Be careful out there! Read more about Fake Apple Phishing Email Making the Rounds! I haven't had such a horrible reading experience since I think about 1998 or 1999. I had forgotten that it was like trying to wrestle an octopus in the dark. It's better when you have light, lots of light. The worst part is not so much trying to see the blurry, small print on cheap paper as it is trying to keep the page from curving and the whole thing closing and slipping out of your hands--hands because the unpleasant process takes two hands to make it viable. And your arms get tired and maybe cold if you don't have the heat turned up sufficiently. Some of my recent tips you, assuming you're interested in programming mobile devices, may be interested in. HERE, I've answered a question on whether it's possible to run Ruby (a dynamic, reflective, general-purpose object-oriented programming language that combines syntax inspired by Perl with Smalltalk-like features) scripts under iOS. It is. Back in July, I've devoted a sizeable part of my multimedia article to the question of dynamic video de-interlacing. Back then, the only way of (dynamically) getting rid of the pretty ugly effects of interlacing was jailbreaking your iDevice and installing the not very finger-friendly, pretty awkward XBMC on it. Today, I've decided to completely abandon the “old” 3.x series of Xcode, the development environment for iOS (and Mac OS X). Up until now, I didn't want to switch as moving to the new Xcode required an almost complete re-learn of the system – even the basic keyboard shortcuts have been changed, to my “delight”. New version of Opera Mini Web browser out! Since 2005 (the initial debut of the first version), I've dedicated several articles to the alternative Web browser Opera Mini. Back in the Windows Mobile / Symbian S40...S60 / BlackBerry days, Opera Mini offered a viable and, in many respects, much better alternative to the built-in browsers of these operating systems – for example, on my Blackberry 8800, it was the only browser I ever used. On my more capable Windows Mobile and Nokia devices / phones, I also tended to prefer it to other, in general, clumsy and slow browsers. Read more about New version of Opera Mini Web browser out! Siri understands natural language, and can respond to a wide range of questions and commands. So there really shouldn't be a learning curve for Siri. 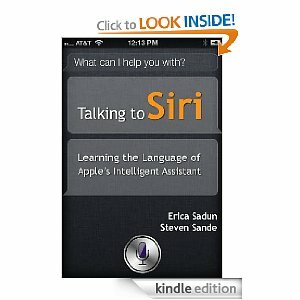 But in fact you can learn ways to use Siri better, especially if you have a clear understanding of how it can help you. TiPb has posted a list of Top 10 Secret Siri Commands. There's nothing "secret" about them, but this is a great list for helping you get a better idea of some of the things that Siri can do. In my Wednesday's article, I've quickly mentioned PhoneDisk by Macroplant as the most recommended application for (Mac) OS X computers to access the installed (AppStore or Xcode) applications' home directories on non-jailbroken devices. Today, I've helped a friend restore some contacts onto his iPhone. As the experience I gathered may be useful to you as well, I let you know.